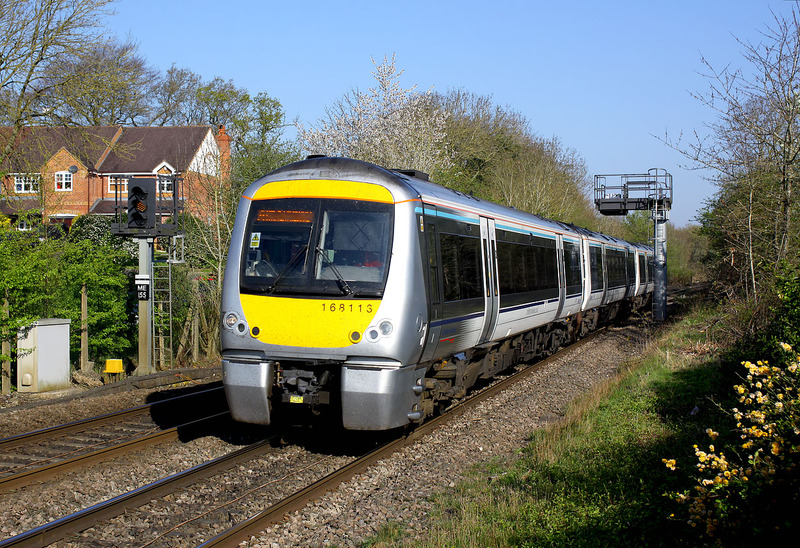 168113 approaches Saunderton at high speed on 9 April 2017 with the 1Y05 08:38 Oxford to Marylebone Chiltern Railways service. Photo taken from the end of Saunderton station's up platform. Luckily the bonfire in the lineside garden was not quite fierce enough to give this a smoky foreground!